Everyone loves Meatballs & Spaghetti. It’s the “go-to comfort food”. Everyone makes them their own favorite way. Some people cook the spaghetti sauce a long time. I prefer my sauce light. 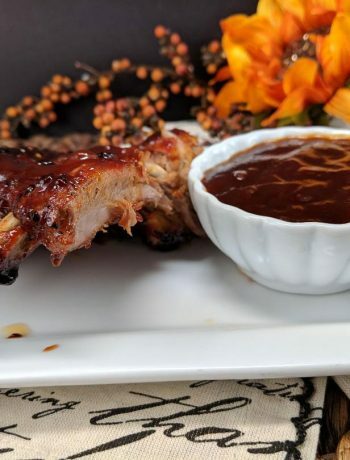 If I’m making just a sauce alone, I only cook it 15-20 minutes. Some people cook their meatballs by either frying or baking before putting into the sauce. 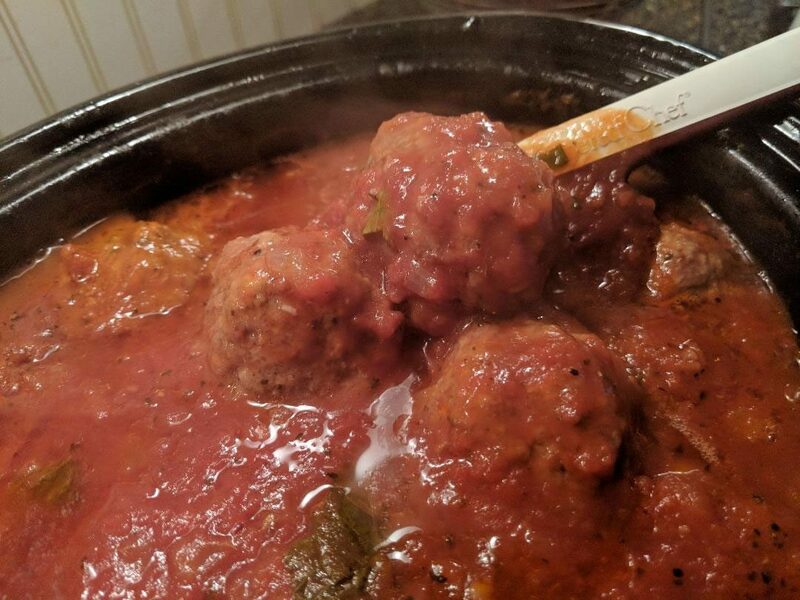 I don’t like the hard crust on meatballs, or the taste they have after browning, so I throw them right into the hot sauce just like my husband’s grandmother did. I add fennel seed in like she did too. I also add some dried vegetables to add more flavor. 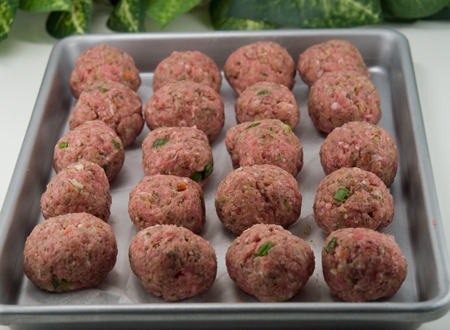 Meatballs are the kind of food that any way you make them, they sure do taste good! 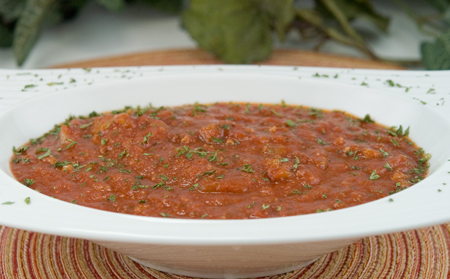 If making sauce alone, cook sauce for 15-20 minutes tops, and it’s the perfect Marinara! Trust me, you’ll want to drink it! 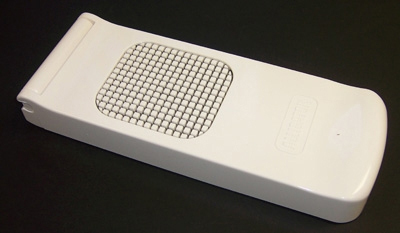 As with everything I try and find a gadget to make the preparation of cooking easier. I use the Alligator to dice my onions. A couple wacks and you can dice an onion on a couple seconds. I use a #40 spring loaded ice cream scoop which makes an approx. 2″ diameter meatball. I also use mixed dried vegetables in my meatballs. 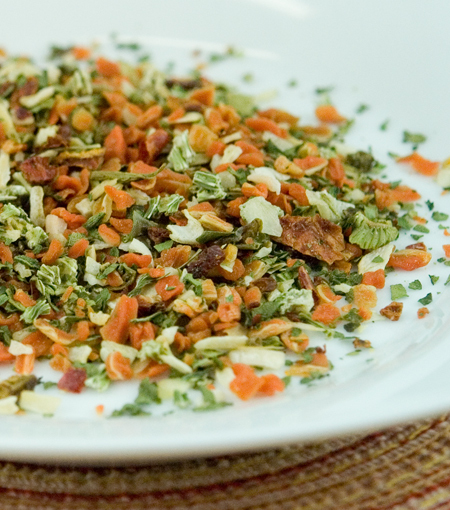 They are essentially dried carrots, onion, tomato, spinach, celery and bell pepper. I think they add quite a bit of flavor. I also used in stews and meatloaf, among other things. They can be found in your supermarket under the McCormick brand, and I get them at one of my smaller markets in a 4 oz container for a mere $ 3.99. I find them invaluable and always have them on hand. Fresh parsley is essential in meatballs. If you can use it, use it. Otherwise dried would suffice. The Nesco 6 qt. Roaster I use for this recipe, and loads of others is something I use frequently. I do have an All Clad Slow Cooker, but seem to use this low cost roaster a whole lot more. Its not something I would put on and leave for the day though. The temperature for this roaster goes up to 400 degrees F, so this roaster is useful for all kinds of meals. I use it for chili, beef stew, soups, you name it. I like it because you can control the temperature a lot better with it. My ratio for bread crumbs is 1/2 cup dried breadcrumbs to 1 pound of meat. On medium heat, or about 350 in Nesco roaster, add oil and saute onion until soft. Add garlic and saute 1 minute. Do NOT let the garlic burn! Add canned crushed tomato, oregano, parsley, basil, sugar, salt & pepper. Cook on simmer for approx. 20 minutes. Add fresh basil. Mix all ingredients together. 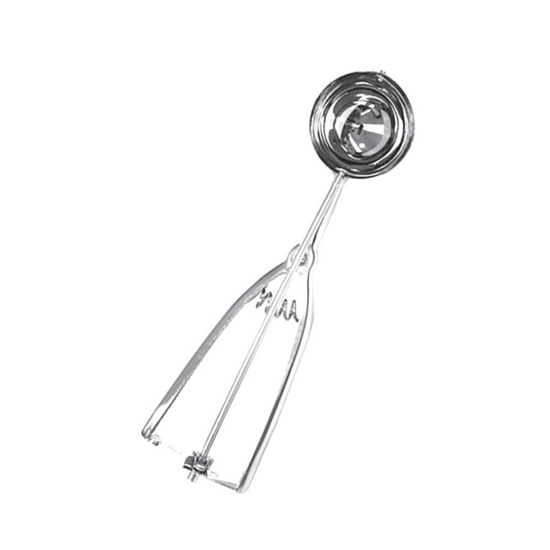 I form my meatballs using a #40, 1-3/4 inch spring loaded ice cream scoop. Then roll them into round balls and drop into hot tomato sauce. You should end up with a 2" meatball. 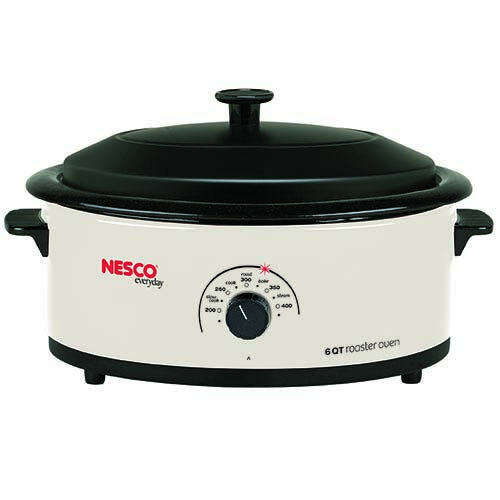 Cook Nesco 6 qt. 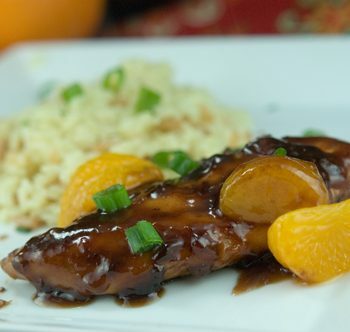 roaster on low, but you can also cook in a slow cooker, or on the stove. If cooking in a stockpot on the stove, be sure to use a flame tamer so as not to burn the meatballs on the bottom. Try not to move around as they will mush easily. Cook on very low for approx 2 hours. If your not sure if they are cooked, use an instant read thermometer. It should read 165 degrees F. when they are cooked.